Travelers flying out of BWI Marshall Airport on Saturday may have had a longer wait than usual after the Transport Security Administration has closed a checkpoint "due to excessive callouts." 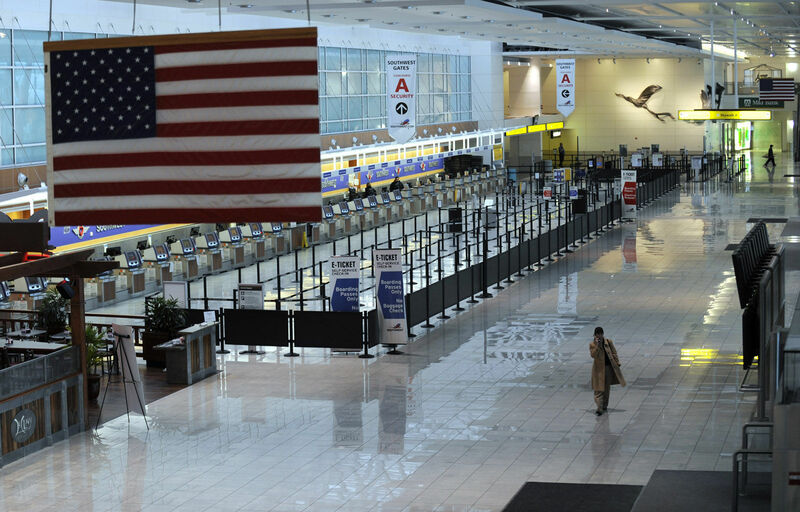 WASHINGTON – Travelers flying out of BWI Marshall Airport on Saturday may have been in longer waiting time than usual after the Transport Security Administration has closed a checkpoint "due to excessive callouts." TSA said it experienced a national average of 7 per cent of unplanned absence on Friday compared to 3 per cent a year ago on the same date. Employees reported that they could not go to work because of financial constraints, TSA said in a statement. The national average waiting times – 30 minutes for standard courses and 10 minutes for TSA Precheck – were within normal, but more airports "experienced longer than usual waiting times" on Friday. In Atlanta, travelers on standard lanes waited a maximum of 38 minutes, 32 minutes in Denver and 35 minutes in Newark, New Jersey. At DC airports, the maximum passenger waiting times in standard lanes were 23 minutes at BWI Marshall, 19 minutes at Reagan National Airport and 17 minutes at Dulles International Airport. On Friday, federal representatives sent extra security screens to beef up checkpoint in Newark, the Associated Press reported. TSA predicts that it will screen over 8 million passengers between Friday and Monday, a 10.8 percent increase from last year's MLK weekend. Like WTOP on Facebook and follow @WTOP on Twitter to participate in conversation about this article and others. © 2019 WTOP. All rights reserved. This website is not intended for users within the European Economic Area.